alaTest har samlet og analyseret 23 anmeldelser fra magasiner og hjemmesider. Folk kan virkelig godt lide kvaliteten. Også touchpaden imponerer, men værdien for pengene værdsættes ikke af mange. Gennemsnitligt vurderede brugere dette produkt til 100/100 og eksperter vurderede dette produkt 80/100. The touchpad-turned-touchscreen on the Asus ZenBook 15 is less gimmicky than it seems, but still not a must-have. The experimental second screen in the touchpad actually works, as both a display and a touchpad. The Core i9 CPU, Nvidia 1050Ti GPU and 4K display all add up to a powerful machine. The ScreenPad display is clever, but it's hard to see how it would actually make life easier or improve productivity. Battery life is short. The touchscreen touchpad in the Asus ZenBook Pro 15 is a fun party trick, but doesn't yet make the case that it's something you actually need. But it doesn't make the Asus ZenBook Pro 15 a good computer. Unique touchpad doubles as secondary display. Excellent processing power, thanks to Intel Core i9 and Nvidia GeForce GTX 1050 Ti. Thin and light for a 15.6-inch laptop. Thunderbolt 3 support. Brilliant 4K display. Noisy fans. Low-quality VGA webcam. Relatively short battery life. 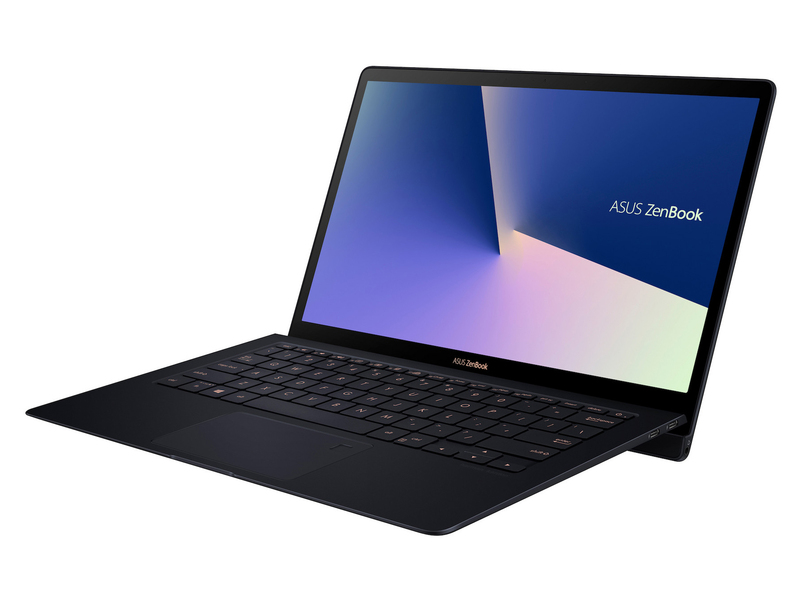 Bottom Line: The Asus ZenBook Pro is a very capable desktop-replacement laptop thanks to its Core i9 CPU and 15-inch 4K display, but its star attraction is a touchpad that doubles as a second screen. ASUS' Zenbook Pro 15 manages to find a deft balance between best-in-class notebook experience and experimental concept piece. If you like your laptops powerful and your screen's color accurate, this one's for you. Not only does the new Asus ZenBook Pro 15 for 2018 have impressive specs such as a Core i9 processor, but the ScreenPad turns the trackpad into a handy second display. Find out what we think in our in-depth first look from Computex 2018. The Asus ZenBook Pro 15 is a strong performer with a beautiful design, but while the ScreenPad is innovative, it’s not fully baked and contributes to short battery life.